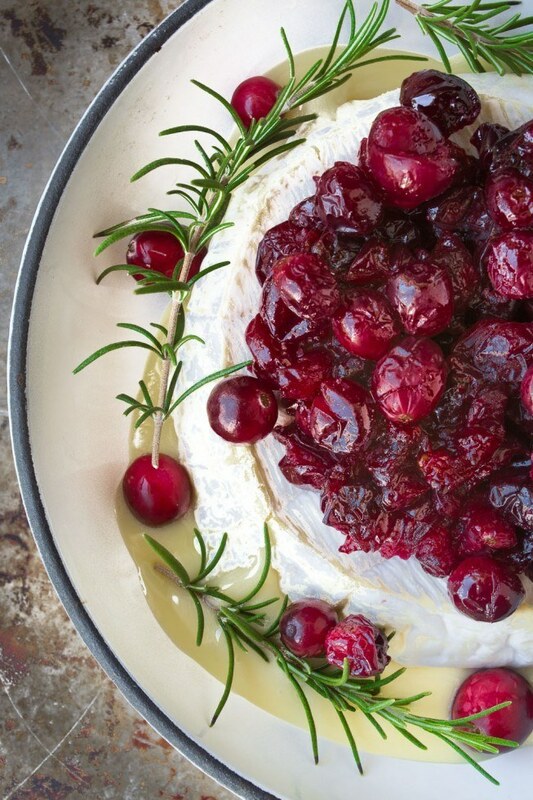 Baked Brie with Maple Roasted Cranberries is an easy and festive holiday appetizer! Spread the cranberries out in a single layer in a baking dish. Toss with the maple syrup, coating all the berries. Roast for about 15-20 minutes until the cranberries are starting to burst and get juicy. Put a round of Brie in a small skillet or small baking dish. Top with the roasted cranberries and bake for another 7 minutes or so, just until the cheese is runny. Garnish with some rosemary sprigs and a few raw cranberries, and then serve right away with crackers or a sliced baguette.